Filming a re-imagination of Frankenstein was, jokes director Paul McGuigan, rather like giving life to a movie monster. McGuigan, admirably lauded for his thrilling works in exceptional movies with A-list actors such as Bruce Willis, Josh Hartnett and Ben Kingsley in “Lucky Number Slevin,” Chris Evans and Dakota Fanning in “Push,” Tom Hardy, Paul Bettany and Willem Dafoe in “The Reckoning,” Paul Bettany and David Thewlis in “Gangster No. 1” and “Wicker Park” with Josh Hartnett and Rose Byrne and who has also directed several episodes of the acclaimed BBC television series Sherlock, which stars Benedict Cumberbatch now helms an electrifying monster of a movie in “Victor Frankenstein” starring James McAvoy (“X-Men” films) and Daniel Radcliffe (“Harry Potter” films) as loyal allies at a time when scientific breakthroughs from the period’s greatest minds are at its peak. 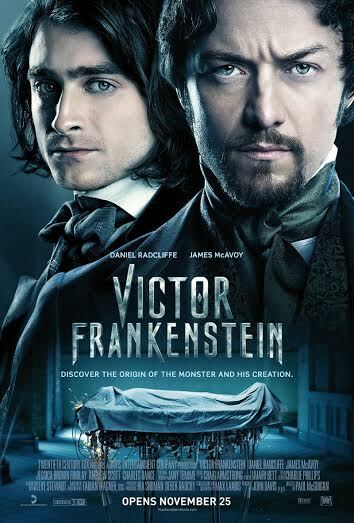 James McAvoy plays Doctor Victor Frankenstein, a brilliant scientist at the forefront of pioneering medical research. He wants to save lives and then becomes obsessed with the idea of creating life itself. Igor – a character that first appeared in movie versions of the story, but was not in the novel – is a lowly, downtrodden, disfigured clown at a travelling circus where his only friend is a trapeze artist, the beautiful Lorelei (played by Jessica Brown Findlay). “He starts off in the script just known as ‘the hunchback’, and he works at the circus,” explains Radcliffe. “He’s grown up there, and he’s worked there all his life. His retreat, mentally, is to surround himself with medical books, medical dictionaries. He’s self-taught, very intelligent, and incredibly capable." McGuigan’s says that Landis has taken the essence of the book – and elements of Frankenstein’s rich cinema history – and created a unique take on the story. “It’s taking the core themes of the book – the re-birthing idea, bringing the dead back to life and the science of that and the moral issues it brings up and all of those things – but at the same time we’ve kind of shied away from being quite heavily over wrought with melodrama, which Mary Shelley’s book was." See the monster come alive in “Victor Frankenstein” when it opens November 25, 2015 in cinemas from 20th Century Fox to be distributed by Warner Bros. Below is the full movie trailer of "Victor Frankenstein".